Delhi University has several top ranking colleges affiliated with it, including St.Stephens, Miranda House, Hindu College, SRCC and LSR. 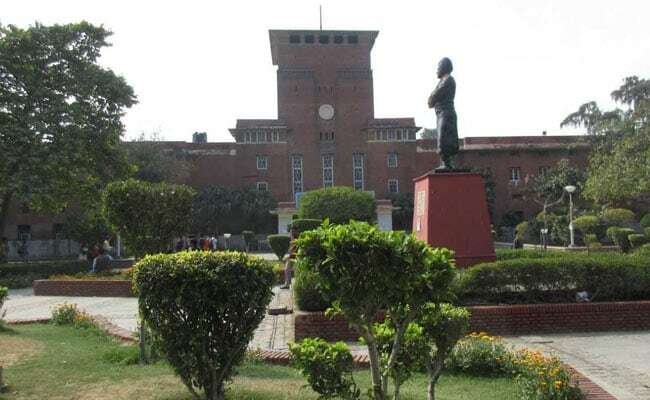 "The registration for Undergraduate courses for Delhi University will start from end of April," a Delhi University official said. "The registration for online entrance examination will begin from May 7, 2019," he informed. Courses like B.A. (Honours) in Humanities, B.A (Pass), B.A Business Economics, Bachelor of Management Studies (BMS), Bachelor of Business Administration (BBA- Financial Investment Analysis), Bachelors of Elementary Education, B.Sc (Honours) in Science stream, Bachelor of Science (in Physical Education, Health Education, B.A. (Honours) Multimedia and Mass Communication are some courses on offer in Delhi University. For updates regarding the online applications, registration, admissions, eligibility and other criteria, candidates may refer the official website of the University, du.ac.in.